PATILAD Recreational And Event Centre has identified both individual, corporate and family entertainment industry as area of interest and to that end the company is planned to lift the eyebrow of the hospitality and tourism industry in Abuja Nigeria, through provision of world class recreational facility, beautiful and serene environment, spacious and world class facility that features events marquee (for wedding receptions, conferences, seminars, award ceremonies and the likes), a leisure centre featuring: a six aside or five aside football pitch which can be used for open air activities/or canopy events and likes. We have made our recreational centre of one that can be suitable for both young and old, single or married, and for official or unofficial purposes. We also have a Day-care/Creche session which caters for families who are living or working around our facility or families who feel like using nearby gyms or do some other important activities around can subscribe to our Day care service. We also feature superb restaurant and bars providing al fresco dining, we have very good chefs, who prepare quality local and intercontinental dishes, classy winery and bar tenders, accompanied with a nice natural fresh clean air. 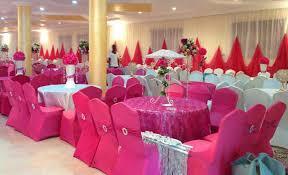 We have excellent work force, event planners, standby DJs, professional entertainers and entertainments. 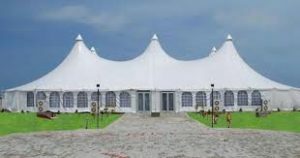 In PATILAD Recreation and Event Centre, we don’t just want people to come and relax, we want to give them an experience, because the keys to providing successful experiences are authenticity, fun and participation. Quality family entertainment is the focus of PATILAD Recreation Centre. The construction and commercialization of one initial FEC is factored into the initial development phase detailed within. The company’s proposed FECs will be designed to provide the type of family entertainment and adventure the current market demands. In addition to other funding and capitalization efforts detailed herein, the Company anticipates that it will seek funds from other sources who may assist in installing and constructing more facility. 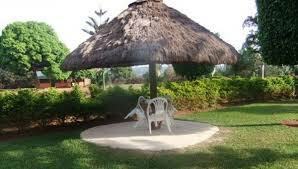 It’s been researched and proven that Abuja has since 20 years ago been a destination for recreation. Most musicians and bloggers often make mention of Abuja has the place of fun, in Sunny Ade’s word in Yoruba Language “Abuja ile-afe” i.e. “Abuja home of pleasure”, therefore personal consumption and expenditures for amusement and recreation is always on the increase. With our strong management team and our aggressive marketing plan, we project a consistent and minimum annual growth of 15 percent. Our vision is to build a world class business and recreational centre in Abuja and other major cities in Nigeria, and earn our place amongst the first five in the Nigeria. To establish a safe, fun, exciting (and profitable) entertainment facility, which will be a place of excitement, relaxation, refreshment and unwinding for both young and old individuals and families in all seasons. To provide excellent recreational facility and event centre, where customers can receive excellent service in a playful, relaxed and safe environment. To listen intently to customer needs regarding the entertainment, activities and facilities relating to safety, environment and services and act accordingly with respect to those needs. Dayo Adetiloye- He is the founder and owner of PATILAD Recreation and Event Centre, has a multitalented business administrator who has been in the tourism and hospitality industry for over 25years. He studied business administration from UNIBEN, he did his masters in business administration in Lagos. He is a certified PMP holder, a graduate of the pan-African EDC business school, and has worked with many top rated recreational and event centres in Nigeria, having worked in Water parks Lagos for his first work experience, and worked there for 7years, while he relocated to the United States and was opportune to be exposed to 3years work experience in Walt Disney Amusement Parks, before he joined Lighters Houston Events company to work as a sales and marketing executive, for 10years before returning to Nigeria to consult for tourism and hospitality companies. The business will reach positive cash flow in its 2nd year of operation, allowing for expedited repayment of its loan obligations, as well as for dividends to be paid to the owners. Revenue will top N100,000, 000 and profit will reach about N280,843 ,950 in the 2nd year of operation.